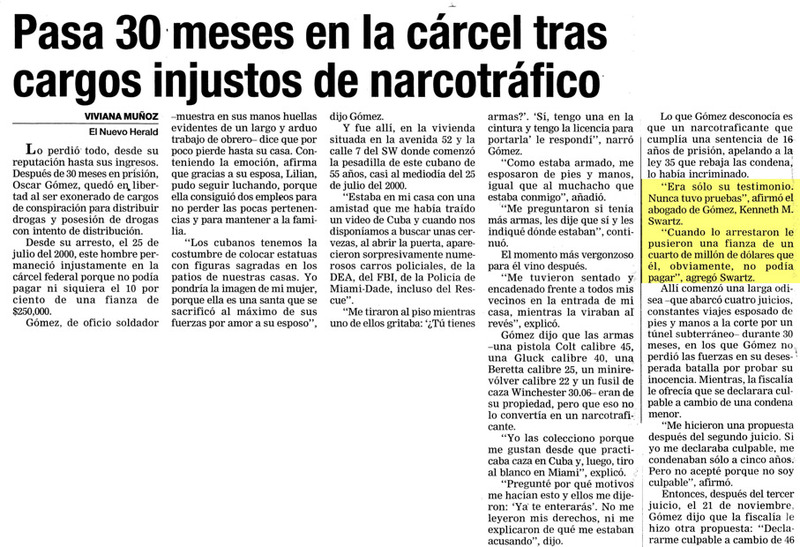 In U.S. v. Gandy the defendant was convicted of possession of a firearm and sentenced to 180 months. His sentence had been enhanced under the Armed Career Criminal Act (ACCA) because he had been convicted of at least three prior violent felonies. In challenging the sentence he argued that the government failed to meet its burden of establishing that his convictions labeled aggravated assault on a law enforcement officer and the burglary of a structure were qualifying offenses using documents approved by the Supreme Court in Shepard v. U.S. He argued that the information and certified judgment of conviction cited only a sentence enhancement provision of the Florida Statutes and did not cite the substantive provision of the aggravated assault statute, the government has not sufficiently proven that his conviction was for that particular crime. The 11th Circuit disagreed and found the district court correctly concluded that the omission of an express citation to the Fla. Stat. § 784.021 (the substantive provision creating the crime of aggravated assault) was not fatal because the information and certified judgment establish that the defendant had pleaded guilty to aggravated assault on a law enforcement officer, the violent felony under ACCA. The certified judgment indicated that the defendant had pleaded nolo contendere to aggravate assault of a law enforcement officer which is the same offense that was charged in the information, making it clear he was convicted for aggravated assault. Furthermore, the court found the defendant had another conviction for simple vehicle flight that was a predicate conviction under the ACCA. The 11th Circuit recently held in U.S. v. Petite that a simple vehicle flight conviction under Florida state law qualifies as a violent felony under the residual clause of the ACCA (§924(e)). The only argument that was not addressed in Petite, which the defendant raised here, was the unconstitutionally of the residual clause of the ACCA. The 11th Circuit rejected the vagueness argument on the grounds that the Supreme Court already determined that the residual clause, although at times is “difficult for the courts to implement, falls within congressional power to enact and constitutes an intelligible principle that provides guidance that allows a person to conform his or her conduct to the law.” (Though Judge Scalia’s dissent suggested the statute is unconstitutional.) The 11th Circuit cited six other circuits that have upheld the constitutionality of the ACCA residual clause and no circuit has gone the other way. The defendant also challenged his sentence on the grounds that the magistrate judge who accepted the plea erred in advising him that the maximum penalty would be 10 years in prison. The 11th Circuit rejected the claim because the district court noted that he entered the plea with the incorrect understanding, the district court explained that it was an error and correctly advised him of the mandatory minimum sentence of 15 years. He gave the defendant a chance to back out of the plea and he said he did not wish to withdraw the plea.